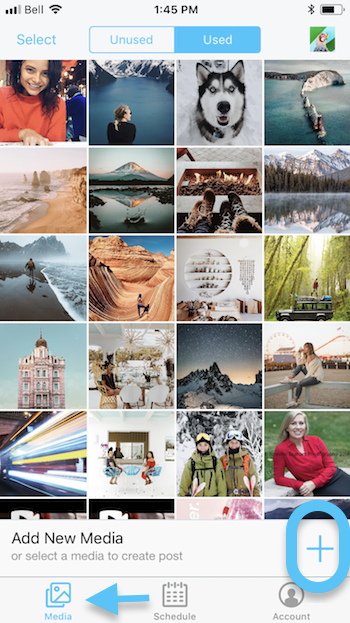 Schedule single image photos, videos and multi-photo posts (carousel) right from your phone or Ipad! Looking to schedule on the go? Here's how to schedule Instagram posts from the iOS app! Select the media item and click Create Post. 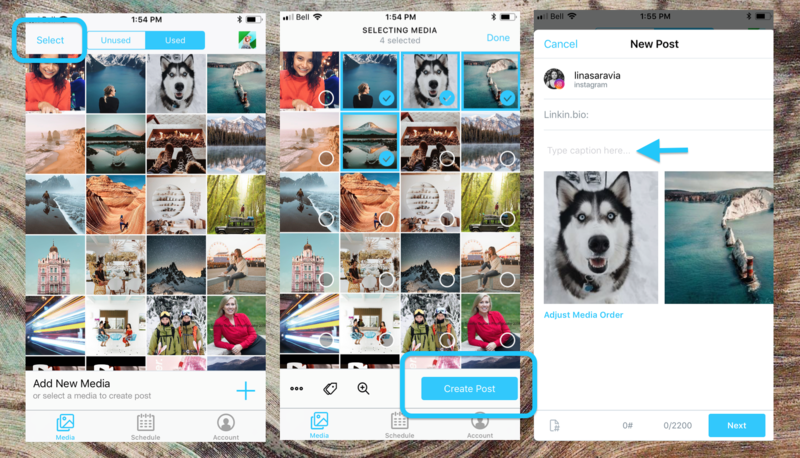 You can also schedule Multi-photo posts from your Later mobile app! 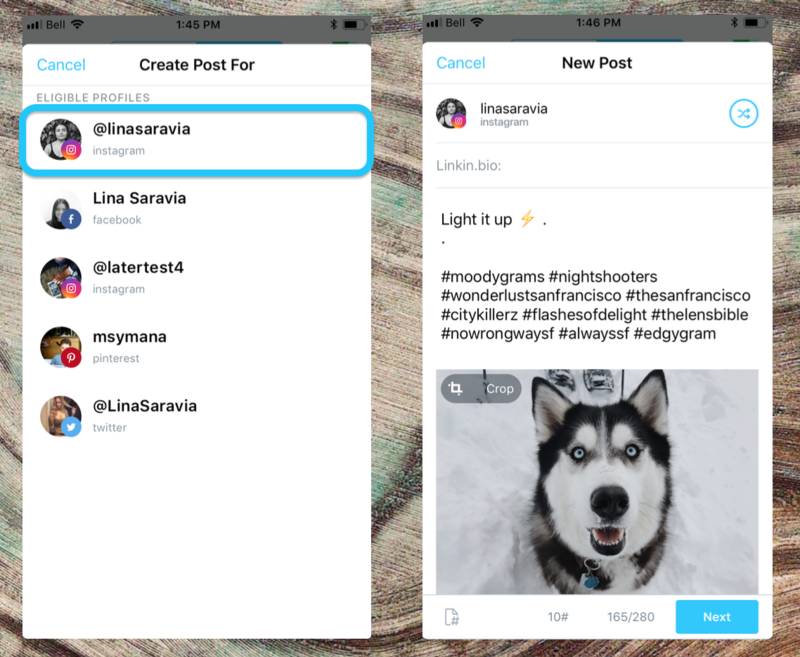 Now publish your multi-photo posts! Important: Multi-photo posts cannot be auto published to Instagram so make sure to go through Later's mobile notification to publish. Video posts can be scheduled to Auto Publish through the web.